The baseball playoff system is messed up. It’s a statistician’s worst nightmare. As both an Angels diehard and a statistician, I have descended into despondency. After six months and 162 games of baseball, a 5-game coin flip decides the fate of the eight playoff teams. The Los Angeles Angels, considered by many to be the best team in baseball and considered by most to be a better team than the Kansas City Royals, were knocked out in only three games after leading the league with 98 regular season wins. That’s three games – the same length as the common regular season sweep. I’m going to try to “fix” the randomness and unfairness of a short playoff series. And by doing so, I hope to resurrect the Angels 2014 World Series hopes. How many games would we need in a playoff series to be fairly confident that the better team moves on? According to my calculations below, that number is 1,101. The S.S. Ultimate Professional officially sank on October 5th, 2012, when the Texas Rangers lost the AL Wild Card game to mighty Joe Saunders and the Baltimore Orioles. 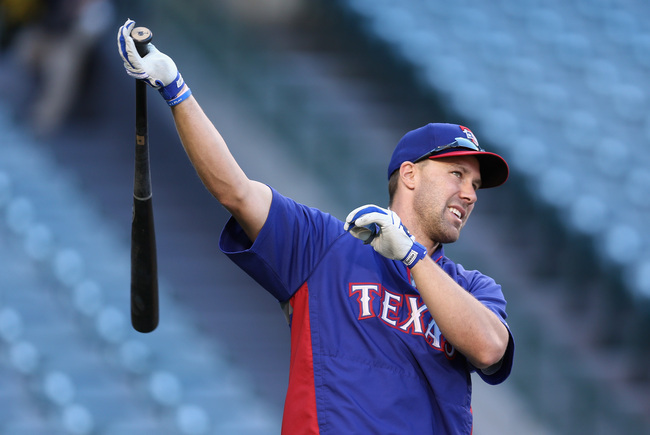 Coming off a strong 2011 season in which FanGraphs credited Young with 3.5 fWAR (FanGraphs wins above replacement), the Rangers’ super-utility player struggled all season at the plate and in the field, ending the season at -1.6 fWAR as one of the worst everyday players in Major League Baseball. Contributing significantly to his collapse was the complete lack of power Young displayed in 2012, when he posted his lowest season marks in both home runs (8) and isolated slugging (.093) in over a decade. Additionally, Young’s batting average on balls in play (BABIP) dropped to .299 from the .367 he recorded in 2011. The breakdown in Young’s game was so severe that general manager Jon Daniels paid the Phillies 10 million dollars to take Young in exchange for a middle reliever and a bullpen prospect in case Young had permanently lost the ability to play at least replacement-level baseball. Princeton Sports Analytics writers Max Kaplan and Philip Chang are stat nerds. They have just returned from the so-called Geekapalooza, MIT Sloan Sports Analytics Conference in Boston. The conference included many faces of the sports analytics world, including Daryl Morey, Nate Silver, Mark Cuban, and many others. However, there were also ex-coaches and GM’s who were also behind the learning curve. Here is a discussion between Max and Philip about the most interesting aspects of the conference. Max Kaplan: Sup, Phil. 2 days. 2700 people. 1000 Students. Dozens of panels. Who did you find most interesting among the panels? Philip Chang: Howdy, Max. And before I say anything, let me give a big thank you to the Princeton ORFE department for allowing us to go. 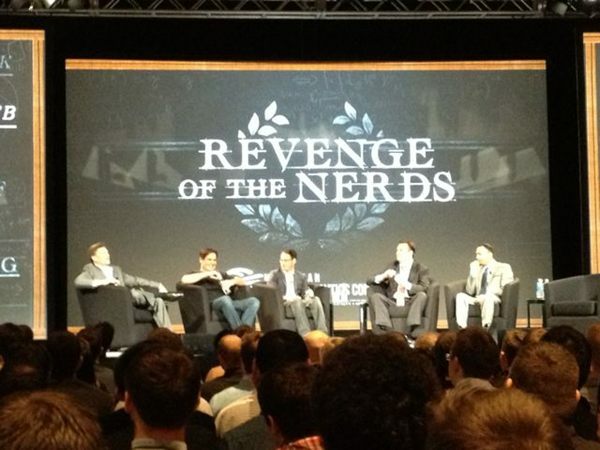 Anyway, while the opening panel Revenge of the Nerds (this year, featuring Mark Cuban, Nate Silver, Daryl Morey, Paraag Marathe, and Michael Lewis) in past years has been the conference’s highlight, it really featured a lot more fluff than I had expected. There was almost no observation of the analytical aspect itself; rather, it seemed to be more of a discussion of different applications of those statistics, and how the structure of player/team evaluation has changed throughout the years. Not that that’s a bad thing, but that steered me away in response to your question, and thus, *upset pick* I really gotta say that the “Predictive Sports Betting Analytics” panel seemed the most contentious and informative of the bunch. MK: Upset pick? What was the spread? Or the least you could do is explain to me why you were interested in the gambling panel. PC: Haha, good one. Gambling is typically seen as a “dirty” part of sports, but through the eyes of professional NBA bettor Haralabos Voulgaris, and his interaction with “21” star Jeff Ma, bettor blogger Chad Millman, and director of bookkeeping organization Matthew Holt, we were able to examine how practically sports games, and seasons, could be predicted based on a) the models one chooses, and b) how closely one follows that sports. Haralabos (Bob) described how he closely followed the NBA, which allowed him to place bets with winning strategies on particular games. For the gaming commission, however, it was much more difficult because Holt and his compadres have to place lines on nearly every sporting competition on the planet, with not nearly as much research on a particular competition as Bob has had. To me, it seemed to be a really interesting, practical, and eye-opening discussion that captured exactly what is possible to predict in sports with purely a model, and how those models sometimes don’t take into effect things like lockout seasons, personal issues, etc. Thoughts?